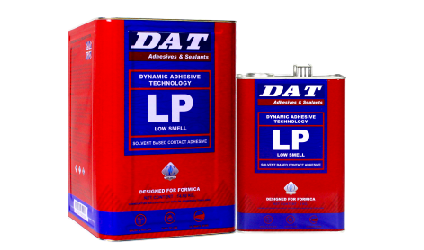 A premium quality low VOC, non-Toluene and low Formaldehyde adhesive ideal for Formica applications. 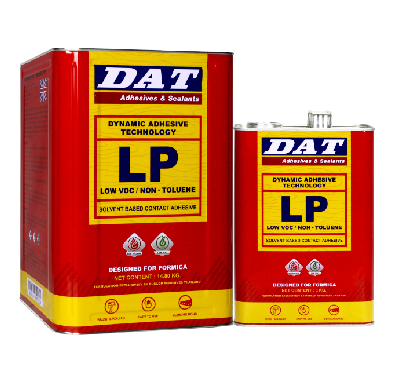 LP Low VOC is a premium quality low VOC, non-Toluene and low Formaldehyde adhesive ideal for use in Green Building. 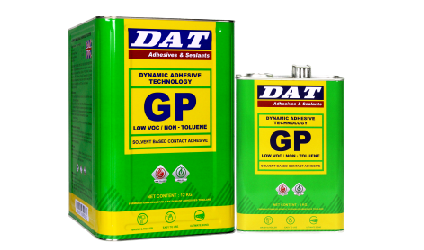 It has excellent bond strength and high heat resistance, and has been specifically designed for Formica applications. 2. 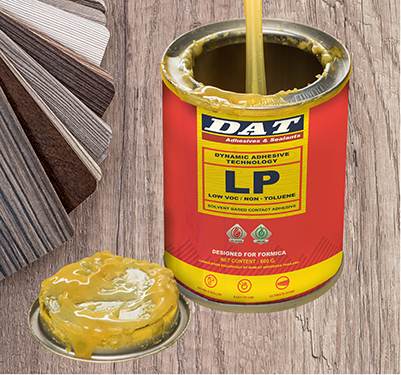 Apply LP Low VOC Adhesive to both surfaces with a spray gun to give a uniform coating. 5. 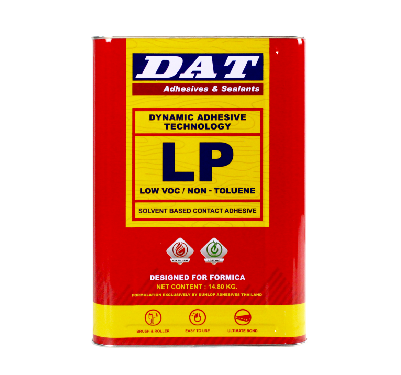 Use DAT Thinner (T 559) to remove excess adhesive.